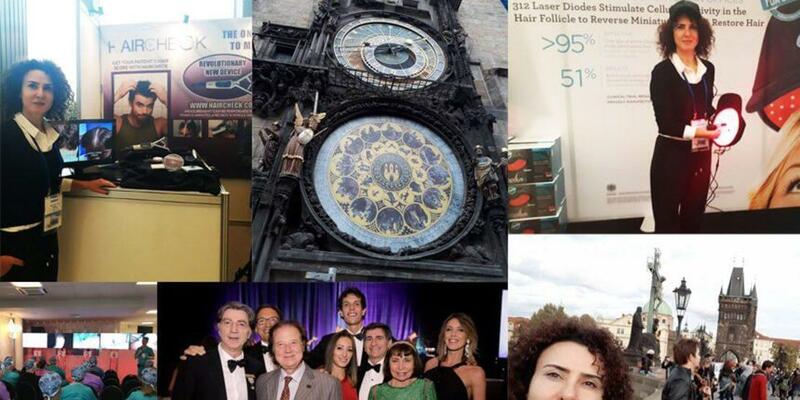 Specialist Dr. Meltem Şentürk participated in the 25th annual event held by ISHRS (International Society of Hair Restoration Surgery) in Prague on 4-7 October 2017. At the 25th annual congress whose main theme was the FUE technique, the participants engaged in talks about the advantages of the FUE technique over other techniques, the history and future of the FUE technique, and the latest developments in the FUE technique. The events included presentations by the leading figures in the industry involving topics such as punch types, donor site size and limits, how to avoid complications, and graft harvesting techniques. Dr. Meltem Şentürk states that she enjoyed the opportunity to exchange ideas with select group of doctors who are ISHRS members and that the sharing of latest research findings and professional experience is of an outstanding importance to the medical profession. Commonly recognized as an authority on hair loss treatments, ISHRS is a health organization that has more than 1,200 members from around the world. It is committed to providing up-to-date training and latest information to doctors on medical treatments for hair loss and to conducting scientific research and raising awareness about hair loss restoration. Enriched by various workshops including a live surgery workshop, the next ISHRS world congress is scheduled to take place in Los Angeles and California in October 10-14, 2018. « Does Smoking Cause Hair Loss?